Don’t know where to take your kids in this sweltering heat? If you’re visiting New York City, you won’t want to miss SPY: The Secret World of Espionage. Keep reading to find out how you can win two tickets! Ever get the chance to see an umbrella that turns into a device that can assassinate a world leader? Or see a shoe phone that was used by a real spy and not Maxwell Smart? Want to climb through a laser maze and then disguise your voice so that nobody knows it’s you? Then do we have the place for you! SPY’s extensive collection of espionage-related artifacts, both historic and contemporary, come straight from the unparalleled 10,000-plus personal artifact collection of H. Keith Melton, author of several books on the subject, including the best-selling The Ultimate Spy and the forthcoming Spy’s Guide to New York City. The remaining artifacts and surveillance videos come from the collections of some of the world’s leading intelligence agencies, including the CIA, the FBI and the NRO. There has never been a shortage of intrigue in the world of spies, and the artifacts and interactives in SPY vividly tell their stories, past and present, through actual tools, technologies, and testimonials. 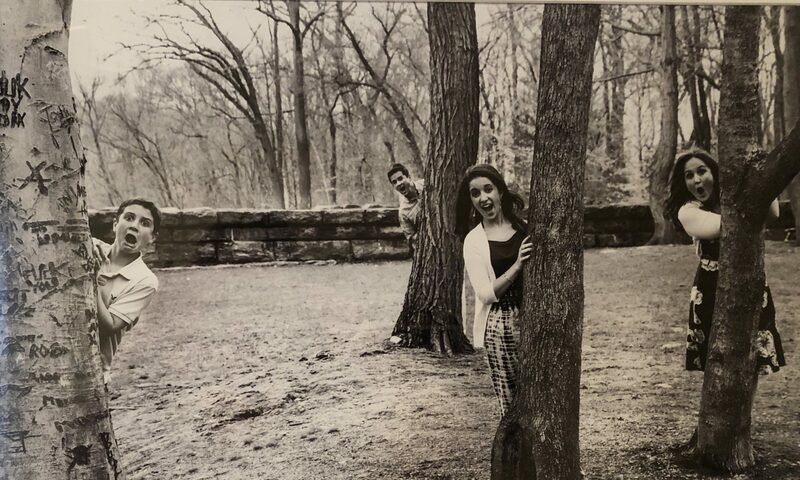 Of particular interest to New Yorkers will be artifacts, video surveillance tapes, and other items from the collection of the FBI related to “Ghost Stories,” the infamous Anna Chapman Russian spy case that beguiled New Yorkers and, indeed, all Americans just two years ago. The case is arguably the most successfully foiled clandestine operation in contemporary American history, and visitors will see shocking, recently declassified surveillance videos of the undercover Russian spies in New York City, along with many of their personal belongings and tools. In addition to the fascinating artifacts, SPY will allow visitors the unique opportunity to experience first-hand the technologies and tools utilized by intelligence agencies across the globe. Visitors will see and hear from real spies telling their personal stories, including from Oleg Kalugin, the former head of KGB Counterintelligence in Washington. 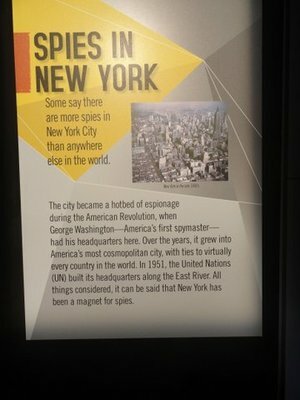 Tools, Tricks, and Technology of “The Secret World of Espionage” is now on display at Discovery Times Square located at 226 West 44th Street (between Broadway and 8th Avenues). The interactive exhibition is open Sunday – Thursday, from 10am – 8pm, and Friday – Saturday, from 10am – 9pm, with the last allowed entry 45 minutes prior to closing each night. 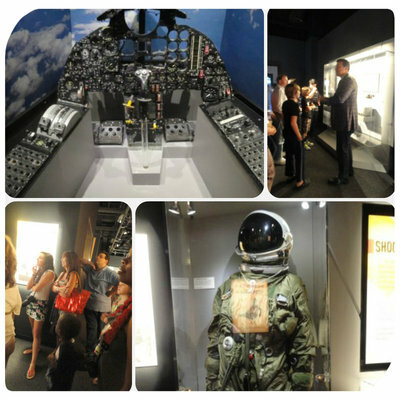 Want to enter to win two tickets to Spy: The Exhibit? Then enter below and you and a guest may be escaping into the secret world of espionage! Every choice we make throughout our day brings us further or closer to the health, relationships, level of financial success and lifestyle we want most. Every choice we make gives us a new opportunity to learn, grow and evolve…or stay stagnant, small and stuck. Every choice we make opens the door to a new way of thinking, acting and behaving…or pulls us further into an old belief system, pattern or way of living that no longer serves us. Every choice we make is a decision to move forward…or stay behind. Each day we make hundreds of choices. We choose what we wear, what we eat, how we relate to those around us, how we care for our bodies, our minds, our spirits, how we “show up,” how we nurture ourselves and those we love and so much more. For most of us, so many of these choices are so habitual, we fail to recognize them as a choice at all because we don’t even realize we’re making them. So, with this in mind, here are a few key areas in your life where daily decisions are continuously being made. I invite you to take a look to see how those daily decisions are moving you closer or further away from the life you truly want. continue with the choices (including the portion sizes and eating behaviors you currently have) how will these choices impact your body? Will they lead to a lean, fit, healthy body filled with energy and vitality or will they possibly lead to weight gain, sluggishness, ill health, conditions, even disease? As far as fitness is concerned, are the choices you’re making creating a lean, toned, flexible and strong body? Note how active you are and the way you move throughout your day. As a result of your daily activity (or inactivity) are your muscles, tendons and ligaments becoming stronger and more pliable? If you were to continue with your current level of activity, how will your body look and feel years from now? Will those choices keep you healthy, keep you flexible and improve your quality of life because you’ll be able to maintain your health, strength and stamina? Relationships — How do you relate to those your love? Is your current method of communicating bringing you closer or further away from having loving, positive and supportive relationships filled with love, fun and intimacy? Are you expressing yourself in a way that if you continue, over time, would your relationships improve…or become strained? How about with friends, associates, coworkers and acquaintances? Take a look at the current way you speak, handle and sustain these relationships. If you continue making the same choices as to how you’re currently communicating, over time will they thrive…or fizzle? Business/financial — Are the daily actions you’re currently taking to grow your business leading to more opportunities, more prospects, more deals, better relationships with your clients and better financial results? Are those daily actions growing your business, your platform, your reach, client base and reputation…or keeping you from moving forward? Are your daily activities productive and bringing you closer to the type of business and financial success you want? Are the daily choices you’re making supporting your career growth? Taking the same choices you’re currently making and looking a few years into the future, will those choices have helped…or hurt your chances for financial and career success? Personal development — Every day we’re filling our minds with things that enable us learn and grow or things that keep us stagnant. For example, what TV shows are you watching and what messages are you allowing into your mind? Are you watching violence, vulgarity or listening to gossip, negativity, criticism and judgment? If so, over time how will these daily choices have impacted you? On the other hand, if you chose to only allow positive messages into your mind, can you see how this choice will impact you later on? For example, if you’ve made the choice to take 10 minutes each day to read, meditate, journal or learn something new, what impact would that choice have created in the future for you as opposed to a daily decision which may currently be filling you with negativity and fear? When it comes to your lifestyle, are the current choices you’re making creating a lifestyle that’s filled with joy, passion, purpose and fulfillment…or stress, overwhelm and unhappiness? Take a look at the small, daily actions you’re taking in regards to how you spend your time. Are those choices leading to greater joy and happiness or is the time filled with tasks you find unsatisfying, unrewarding, unproductive and unfulfilling? Take a look at the daily stressors in your life. You’re making a choice as to how you act and react to every one of them. Are those choices creating the health and wellness you want or will they leading to stress related issues and overwhelm? All of the questions above are meant to create awareness as to how seemingly small daily actions, compounded over time bring huge results. Unfortunately, we don’t see the impact of those small daily actions until they’ve lead to a profound result…good or bad. I invite you to “course correct” any small daily actions that may possibly be leading to a negative outcome. Of course many things are out of our control but if there’s one thing constantly within our grasp, it’s our right to choose the thoughts, behaviors, actions and habits that lead us to wherever it is we want to go. 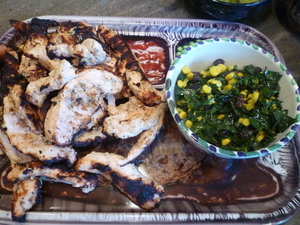 July 4th BBQs are around the corner and this recipe is the perfect addition to any party. Enjoy! Whisk all the sauce ingredients together until fully combined. Make the sauce up to a day ahead and store in a covered bowl or Tupperware in the fridge. Serve with couscous or rice and a salad. Enjoy! 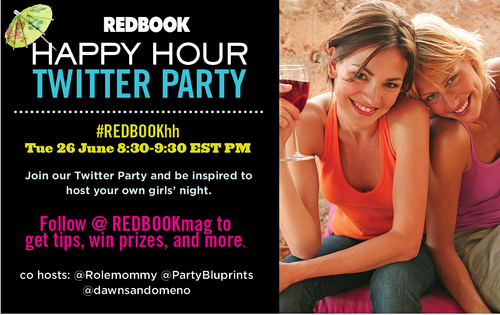 We had so much fun tonight during our Redbook Magazine happy hour party thanks to all our incredible participants and our co-hosts Dawn Sandomeno and Elizabeth Mascali at Partybluprints! The hour was jam packed with fabulous tips, laughs and prizes and we’re here to announce all the winners below. If you did win, please make sure you fill out this form and we’ll get your prize out to you ASAP. 20 REDBOOK subscriptions are up for grabs! In case you’d like to try out some of the fabulous recipes featured by the editors of Redbook Magazine, let your fingers do the clicking for some great summer entertaining options. Could Summer Camp be a Place Where Eating Disorder Behaviors Begin? It is amazing to me how early on children are aware of body images. My eight year old daughter has been talking about not wanting to get “fat” or “chubby” for two years now. I have no idea where she came up with that… we try to encourage healthy eating, without talking about fat vs. skinny. As parents, there is such a fine line between wanting your children to eat healthy, but also letting them eat ice cream and birthday cake, because they’re kids and that’s what kids do! You can try to teach healthy habits and eating in moderation, but when you are not around, you have no control. More than 10 million American children attend a camp each summer. 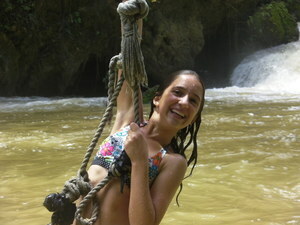 Because these children often spend weeks – and sometimes months – away from parental supervision, Eating Recovery Center, an international center for eating disorders recovery, urges parents to be aware of summer camp triggers that may contribute to the development of an eating disorder in their camp-going children. We are looking to send our daughter to an overnight camp next summer and I do worry about her being influenced and feeling the pressure of fitting a certain body image. Potentially triggering activities or situations may include a competitive athletic environment, exposure to bunkmates’ or friends’ disordered eating behaviors, an intense focus on health and nutrition or anxiety about trying to “fit in” with new camp friends. Without ongoing parental supervision, children who begin engaging in disordered eating behaviors will often maintain, or intensify them throughout the duration of camp without their parents’ knowledge. 1. Look into the way meals are structured at your child’s camp. Are mealtimes staffed so that camp counselors sit with campers and are available to notice if a child has stopped eating or drastically changed his or her eating habits? 2. Do some comparative research if you intend on sending your child to a sports camp. Children with a family history of eating disorders may be better suited at a camp that is focused on recreation and fun, rather than one that is focused on competition and intense fitness. 3. Send your child to camp with positive messages. Emphasize to your child that the goal of summer camp is to have fun and meet new friends. Remind your children that you love them for who they are, not what specific activities they excel at, and that it does not matter if they are the fastest runners or strongest swimmers at camp. 4. Check in with your child while he or she is at camp. Use phone calls, emails and letters as an opportunity to ask open-ended questions about his or her camp experience. Look and listen for any sudden changes in your child’s overall outlook. 5. Keep an eye out for signs of eating disorders when your child returns home from camp. Is your child eating smaller portions or restricting certain foods altogether? Has eating become a power struggle? Has your child’s exercise regimen significantly increased or have you “caught” him or her exercising in secret? Do you suspect purging after meals? If the answer to any of these questions is yes, it may be time to seek help for a potential eating disorder. “When parents see children after they have been away at a month- or summer-long camp, changes in body weight, overall health, general demeanor and outlook can become that much more noticeable,” explains Dr. Manwaring. “If your child exhibits worrisome behaviors after returning home, do not wait to seek help. With eating disorders, the earlier the intervention, the more successful the treatment will be. Early intervention saves lives.” As scary as it may seem, so many young girls, and boys, can develop an eating disorder and I for one will definitely take these tips into consideration and stay on top of it! Eating Recovery Center Urges Parents to be Proactive in Planning a Healthy Summer Camp Experience and Vigilant for Signs of Eating Disorders Once Children Return HomeFor more information, please contact us at 877-218-1344 or info@EatingRecoveryCenter.com or confidentially chat live on our website at www.EatingRecoveryCenter.com. 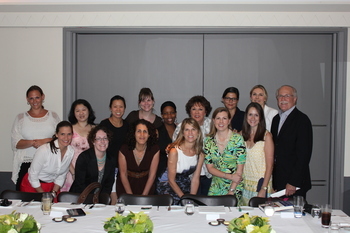 Recently I was fortunate enough to attend an intimate blogger lunch with my new hero, Debbie Phelps. During the past week I read her memoir, A Mother For All Seasons. Reading the book, I felt like she was sitting next to me, telling me her life story. I was blown away by this single mother who worked as a teacher and now as a principal, all while raising three elite swimmers. She has two daughters and a son whom you may have heard of… record-setting gold-medal winner Michael Phelps. As hard as it was, she drove those kids to swim practice and swim meets and supported them 100%. So much of her life was dedicated to her children’s dreams. I wanted to know her secret, how did/does she do it? Her advice was simple, take things slow and enjoy life. How often do we say we should do that and then forget? Not anymore. I am determined to channel my inner Debbie Phelps and have more patience with my kids, help out in my community more and support my families’ dreams. My daughter, age eight, recently had a piano recital where she chose to play a difficult song and even though there were only about 50 people in the audience, I was a nervous wreck! I held my breath while she was up there at the grand piano and felt like I was going to throw up. How in the world does Ms. Phelps sit at the OLYMPICS and watch her son swim in front of billions of people, competing for gold?! It’s amazing. Ask, Listen, Learn has an important message: kids and alcohol don’t mix. As unbelievable as it may seem, the average age of a person’s first alcoholic drink is eleven! It is never too early to talk to your “tween” about alcohol and Ask, Listen, Learn can help. According to the 2011 Monitoring the Future Study, nearly one third of 8th graders report they have tried alcohol once in their lifetime and 15% report they have been drunk. That is a pretty scary statistic. Through fun games for the kids to sound advice for parents and educators, Ask, Listen, Learn is a wonderful resource. We as parents need to be good role models by drinking responsibly and not supplying underage children with alcohol! I feel lucky to have met Ms. Phelps, her daughter Hilary as well as members of the Century Council. Even though my children are still young, this information will be very helpful in the years to come. I admire Ms. Phelps for taking time out of her busy schedule (getting ready for her trip to London!) to bring attention to this important cause. The Mojo Coach Weighs In: Why Do We Overeat? loss plan that actually works. The first place to start is with the who of weight loss. the food they’ve prepared and we eat to avoid hurting their feelings. you taking in too many liquid calories? where they’re taking in too much. the Saturday night breadbasket at their favorite restaurant. encourage a boost of serotonin, one of the body’s “feel good” chemicals. job, more confidence or simply a call for a better way to handle your stress. videos) and take the FREE “Mojo Lifestyle Assessment” to see how you score. As we head into summer, there’s one thing I always look forward to – VACATION! It’s been almost a year since we’ve gone away as a family and typically, we take several road trips along the northeast. This year, we’re mixing it up and throwing a bit of the caribbean into our vacation plans. You see, last August, we were invited to check out Jake’s Hotel & Resort in Treasure Beach Jamaica and to say my family fell in love was an understatement. 1. We love the incredibly kind staff, the tropical cottage accommodations and the amazing ocean views. 2. Getting the opportunity to venture out to sea with Dennis, an expert boat captain who knows every nook and cranny of Treasure Beach. Stick with Dennis and you’ll spot wild dolphins, explore a new fishing reserve, jump off a pier near Black Safari Jungle, spot crocodiles and sample local fare at the world famous Little Ochi. 3. Participate in one of a kind sports camps with professional coaches from the United States. 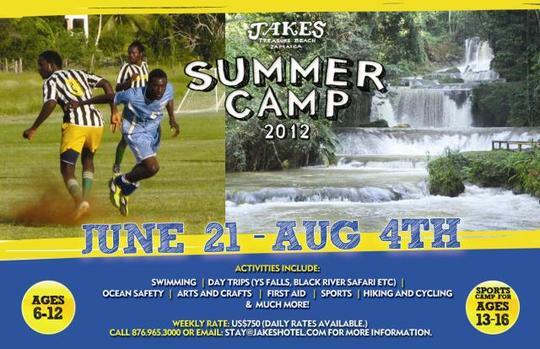 This July, Jakes is offering its first ever sports camp for kids. If your child is a soccer lover, then this could prove to be the ultimate camp experience for them. 4. Dining under the stars with Jake’s Farm to Table dinner. Every month under the full moon, Jakes invites guests to dine with the farmers of Treasure Beach who share some of the island’s most incredible fruits, vegetables and local dishes. Favorite fruit we discovered in Jamaica: Sweet Sop which tastes just like vanilla custard…YUM! 5. Swinging from vines at YS Falls. Another incredible experience complete with an amazing driver and tour guide, Darren, a picnic basket for four, spectacular waterfalls, swimming pools and a zip line that’s frightening and exhilarating all at the same time. So if you’ve never been to the caribbean in the summer with your family, check out Jake’s – it’s become our kids’ favorite vacation spot and something tells me we’ll be going back for many more years to come. 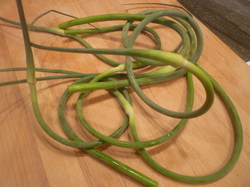 I love seeing garlic scapes in the Farmers Markets because that means it’s time for garlic scape pesto. I ran out of walnuts for the pesto but found that almond butter worked great as a substitute. Spread this pesto on toast with eggs or cheese or use it just like pesto on pasta for a change of pace.